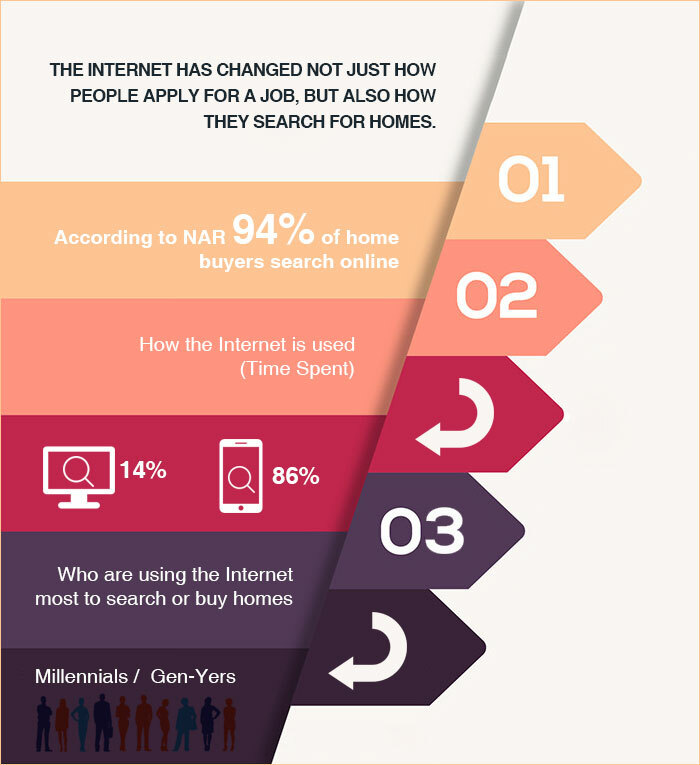 The Internet has changed the behavior of home buyers. They are resorting to Web or mobile applications to explore the best home at the best prices and in the best location. How can real estate web developers help agents and brokers to perform their job smartly and efficiently? There is no denying that sales and marketing are complicated, but it’s an absolute fact that sales and marketing professionals, agents and brokers as commonly referred, who are involved in real estate have more challenging tasks in hand than what their counterparts have in other industries. The reasons are linked with the gravity associated with the property purchase decision. So, what makes the purchase-decision critical: buyers invest a substantial chunk of their savings; for first-time home buyers, it’s linked with the quality and security of their family; and for investors, it’s linked with their long-term ROI. So, real estate website development should be pursued with a vision to bridge buyers, sellers, and agents. Hence, developers have a marathon work to do stepping into the shoes of each stakeholder. If the challenges relate to you, or your client, spare a few minutes to know about the best real estate website development practices. People might be enticed with the look and appearance at the first point, but that’s not enough to keep them involved. They want the best deal, so let them explore through listings and learn about them efficiently. Don't bombard people with information - instead, use a few simple buttons to help them navigate your site. So your listings and those of other realtors in your region are available on your website. What is IDX? It’s a comprehensive term that covers policies, standards, and software about the display of listing information on websites. So, IDX enables members (real estate agents and brokers) to make the data from multiple listing services (MLS) accessible to users. Look at this real estate website built by our Drupal developers. 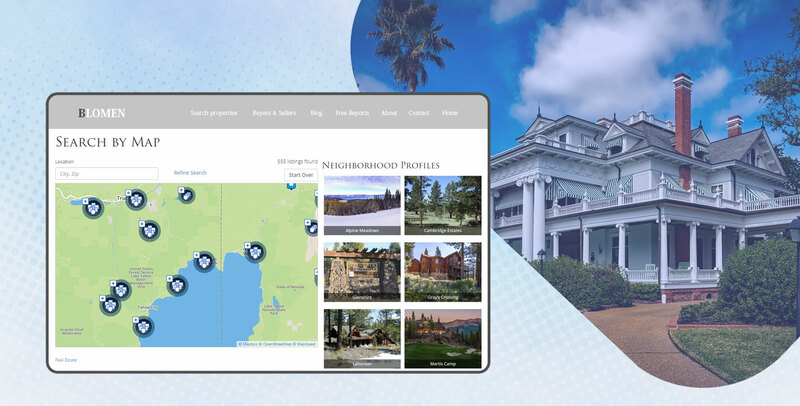 Owned by a Dallas, US-based realtor Briggs Freeman Sotheby’s International Realty Group, the website allows prospects or buyers to access information about properties that are listed in the area of their choice. By offering relevant information to web visitors, you as a realtor can make a difference to the user experience and drive conversion. Pictures sell homes better than text. So get striking photographs and present them in a way so that users can have a 360-degree understanding of the project. Like an e-Commerce website reveals the ins and outs of a product, you have to showcase your listings. So, you need to invest in excellent photography apart from investing in real estate website development. However, the web developer you hire must have the potential to create a stunning CMS (Content management system) that eases your job. Buyers have different needs and preferences, but you have some limitation on your homepage or inner pages as well, as you can’t show all listings in one go. Hence, it’s better to leave the control in the hand of users and let him do search applying filters - by budget, location, amenities, building type, construction age, etc. It helps them make a better decision. So you have got a robust CMS built with Drupal or WordPress, what next? It’s the turn of the content to play the magic. Provide information to users as a consultant narrating the pros and cons including risks. Presentation makes a lot of difference. So, don’t ask your real estate website developer to copy the CMS of your competitor blindly. Instead, give him or her time to perform research to understand what users love and what not. It’s not just essential to have a stunning design and optimized code. Instead, it’s equally important that you track how the website is performing and how your users are getting benefited or obstructed. What’s causing the bottlenecks, and what your users expect out of your real estate website. Web analytics integration is a good and reliable way to measure the success and failure of a digital product. There are plenty of web analytics tools like Google Analytics, Mixpanel, and Flurry to name a few.